Flash Micro SD : Micro SD 8Gb HC memory module, SanDisk - SHOP01MEDIA - console accessories and mods, retro, shop - One Stop Shop! Standard Micro SD memory module incl. 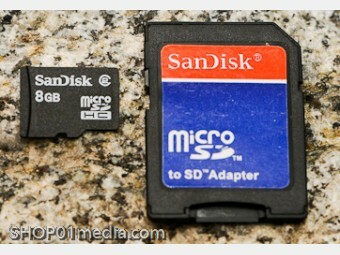 SD adapter.Standard Micro SD memory module incl. 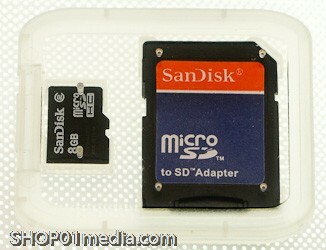 SD adapter. 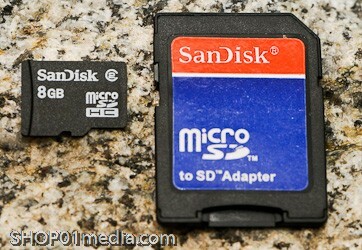 This is the new, Micro SD HC (high capacity memory type). Works with all HC compatible devices. Each microSD comes with an SD adapter that gives you the convenience to use it as a full-size secure digital (SD) card in SD-enabled devices.